Renewable Energy, anyone would think, is the answer to all our energy issues. Serendipitous images of renewable energy solutions put forward via salesmen who want to cash in on Government incentives, and main stream misinformation and lack of true clarity, have resulted in a kind of public duping. There is no fault in wanting to minimise our reliance on carbon based fuels, which emit pollutants known to be harmful to health, from asthma-inducing particulates to the greenhouse gases. 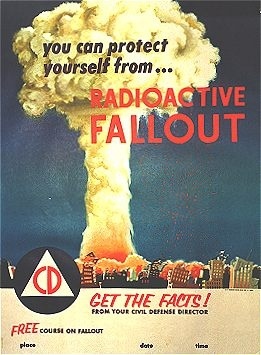 Nuclear creates anxiety and fear due to gross misinformation; we only have to look at images of cold-war paranoia-inducing propaganda and mass hysteria from accidents such as those at Chernobyl & Fukushima to see how easily an imprint is left on the public conscience. Somehow, we gleaned the false assumption that a nuclear reactor and a bomb are synonymous with one another; the complete difference is in the Plutonium content. But are wind, solar and tidal power really the answer to affordable, plentiful and green electricity? * In 2013, 13.9% of our energy consumed was generated from renewable sources. 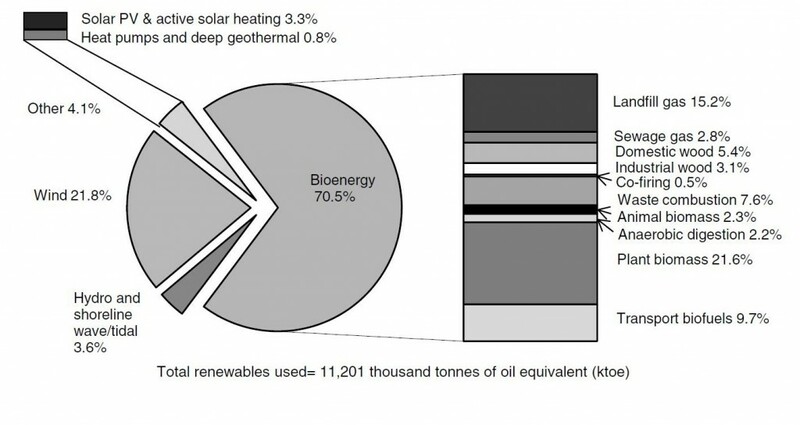 However of this, over two thirds of this renewable energy was attributed to bioenergy. 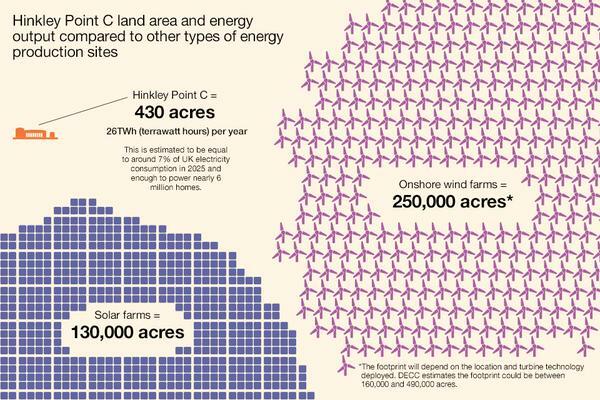 * If the UK covered every roof with solar panels, and all accessible coastline with wind turbines, we’d still only have a fraction of the electricity supply necessary to meet demand [ref]. The reasons why these technologies are not successful, despite Government initiatives are described in more detail below. *Wind power provides occasional or ‘chaotic’ power generation – when the wind drops or the sun goes down, the power stops. * As renewable sources of energy can’t be stored, they are difficult to manage, being available only at the time of generation. You need immediate back-up capabilities from other sources of conventional power. * Renewable power generation is not as green as you might think when you take into account the complete life cycle of each technology. * Very heavily subsidised via Renewable Obligations Certificates (ROCs). Power generated is twice the cost of conventional power generation. * Renewable installations require significantly larger footprints to deliver equivalent volumes of power. * Not able to offset the planned retirement of coal-fired and nuclear power stations. * The “quality” of our electricity is very important, since microprocessors and electric motors rely on the stable voltage and frequency of the supply to work properly. It was an important achievement of the 1926 Electricity Act to unify the voltage and frequency throughout the UK by joining up selected large power stations, working in unison through the “Grid”, to give us our present reliable high quality electricity. A multitude of turbines is reversing this process, and if continued to any great extent, would endanger the quality of our electricity and possibly cause power cuts. Burning wood instead of fossil fuels has its own problems. To plant enough willow to keep a single 1,000 MW (e) power station operating would cover an area bigger than Kent. As wood is cellulose, a carbohydrate, less than half of its weight (the carbon part) burns to produce heat, the rest evaporates as water; it is thus half as productive per tonne as coal and is actually very poor in energy content. To keep up with our renewables obligations, the UK burn wood chip in combination with coal in conventional power stations at Drax and Ironbridge. 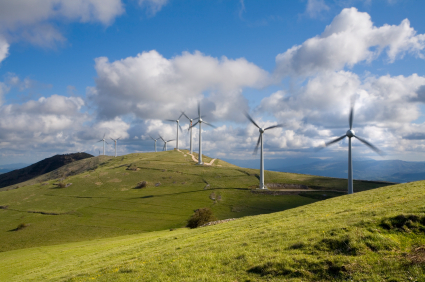 Wind power is the second largest renewable energy provision in the UK after biomass. It produces about 3% the nation’s electricity, yet adds an estimated £18 to the average yearly UK electricity bill [Ref]. In general, the national grid relies on a steady controlled generation of power from generators and turbines. This can be supplemented by occasional “chaotic” power generation such as that provided by wind and solar, but cannot depend upon it. 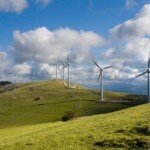 To avoid black out and “crashing” the grid, wind power and other renewables must be supplemented at all times by a back up generation capability equal to 80-90% of the installed renewable energy capacity, so that when the wind drops, the tide turns or day turns to night there is reserve to avoid failure [Ref]. In addition to the back-up demands, the dilute spread of technology such as wind turbines require vast areas of land or sea to generate the same output as a single conventional power station. To produce 1,000MW of electrical energy – the size of an average power station – nuclear requires the equivalent of 10 soccer pitches. Wind (when it is blowing) requires an area the size of Dartmoor, and solar would need half as much again; biomass (wood) needs a forest the size of Wales. Britain currently needs at least 55 of these 1,000MW(e) power stations to meet peak demand and renewables come nowhere near to meeting the requirement. An equivalent wind farm is estimated to require in the region of 400-1000 times more land than a nuclear powered facility. Without government subsidies, many of the existing and proposed wind farms we currently see would be uneconomic. Some have estimated that wind power is roughly twice as expensive as that of conventional fossil fuel based power, [see ‘cost’], as defined by the ‘strike price’ – i.e. that which is agreed by the electricity seller, based on predicted market demand. On the one hand, it is thought that the potential for wind and other renewable power could be improved by the use of batteries to viably store energy, but others believe such technologies blight the landscape and or cause noise pollution, have a relatively short lifespan, and damage eco-systems due to such as bird strike. The issues with Solar energy are much the same as wind. It can only be collected 50% of the time ie during daylight, and only then when there is no heavy cloud cover. The fixed solar panels vary in output throughout the day, as sun rises to a maximum and then declines. Therefore efficiency is low until improved photo voltaic technology is developed. Heat collectors on the roof to warm up water for domestic or industrial use are useful, however they aren’t a recipe for self sufficiency. Even in perfect conditions, the amount of energy available has a modest upper limit. For tidal streams to generate a reasonable amount of energy ie 1000 MW, 1000 turbines are needed. The capital cost is quite high, the carbon emissions are low, but as the generation of tidal power is not constant and electricity can only be generated when the tide is running, it too has to be supported by 80% of the installed renewable energy capacity, to avoid black outs. So what to do? We certainly shouldn’t discount renewable energies. Where they make sense they have a useful contribution to make and help us to meet our green targets. But to deal with the energy crisis facing us in terms of the growing gap between capacity and demand we have to refocus the debate and look at a balanced power generation solution for the UK, embracing a mixture of technologies which above all includes Nuclear. The process has been taken much further in France where over 80% of their electricity is produced by nuclear power, and a further 13% from hydro-electric schemes. The UK imports electricity from France in times of high demand.